A brief glance of this elegant beauty and you will instantly curious of the Peach Roses Meaning behind it. Those who think roses only come in white and red variant will be mesmerized by this delicate hue. Yes, they may seem delicate but no one can deny its unique charm. Peach colored roses are one of the most breath-taking rose varieties. Its beauty is not to be questioned. It may not be as bold colored as the red roses, but still oozes the same elegance. Unlike red roses, its delicate peach color provokes warmth and gives off an undeniable modesty. Yes, if you’re looking for a bouquet of roses that shows modesty in the most stunning way – you have it. This pale colored rose variety is so subtle, but the effect it has on people is nowhere near the description. When it comes to its color spectrum, peach roses are definitely interesting. This subset color cannot be considered pink, but at the same time, it doesn’t fall under the orange category either. With that said, this rose will make an interesting addition to your bouquet and garden. But what is the meaning behind peach roses? When it comes to its meaning, peach roses may not be as romantic as its pink or red counterparts. However, this does not necessarily mean a bad thing. This pastel colored rose is the perfect choice for those looking for a way to show appreciation to someone. 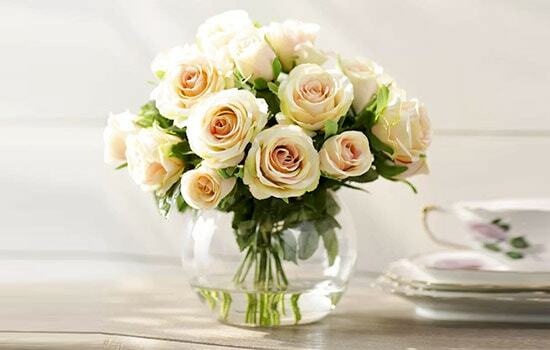 Whether showing gratitude or deep appreciation, a bouquet of peach roses is an elegant way to do it! 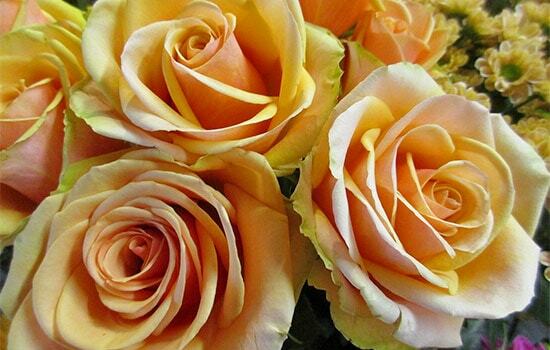 Peach colored roses meaning is closely tied to its subtle color. The first and most popular meaning of this particular rose is undoubtedly modesty. Its soft hue indicates demureness and bashful purity. In work of fictions it may very well be painted as a pale blush on the face of a virgin. The type of innocence that is second to none. When it comes to symbolism, peach roses are used to be the opposite of its more vibrant counterpart. The orange roses are typically used to symbolize a bright, new beginning. However, peach roses are used as a symbol that signifies the success closing of a deal. This is the primary reason peach roses are handed out after something has gone incredibly well. The aforementioned symbolism is an indication that, in a way, peach roses are also used to symbolize natural closing. One with a glorified meaning. With that being said, peach colour meaning may be concluded as a pure expression of geniality. Other than that, this particular rose also symbolizes cheerfulness, harmony, sincerity and highest form of peace. No roses convey sense of pure genuine better than peach roses. While many rose varieties are largely associated with love, peach roses may stand out. One thing that sets it apart is undoubtedly the noble sentiment that is extended from its gentle hue. Sincerity and earnestness are two of most noble sentiment, and this Peach Roses Meaning is what makes it all the more beautiful.